The most accurate and easiest way to use the jointer is not freehand with the fence but in static mode on a flat surface e.g. a proper reference board as the machine baseplate is accurately machined (see photo 1). 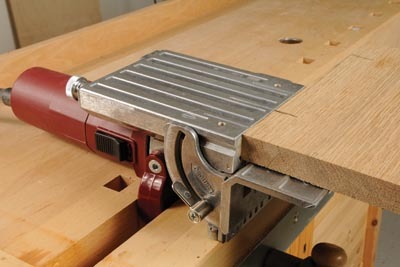 Keep the jointer blade clean to avoid it heating up and blunting due to excess deposits, you should avoid machining slots where PVA glue has been used for this reason. Always have a selection of all three biscuit sizes in stock i.e. 0, 10, 20, but buy the most used size (usually size 20) in larger quantities as they will run out quicker. Keep your biscuits sealed in airtight containers to avoid them picking up damp and swelling up as a result. In order to reset the fence at the same height for repeat work, make a set of small blocks with slots at specific height settings and mark them accordingly. Simply push the blade on to the block and set the fence to the block (see photo 2). PVA is the best glue to use most of the time because the water makes the biscuits swell up, however in winter PVA can freeze or the chemical constituents may separate. Keep your glue indoors until needed or use aliphatic which is runnier and has a quicker setting time in cold humid conditions. 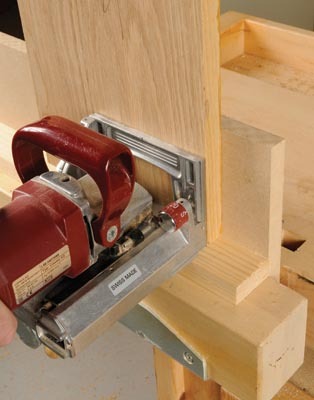 Cross board slotting is accurate and easy using a jointer T-square (see photo 3). 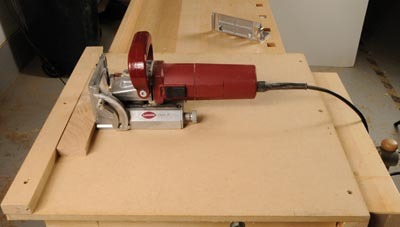 Most biscuit jointers can be safely inverted in a bench vice or workmate thus making it possible to push work on to the jointer instead of the usual handheld mode (see photo 4). If you are gluing two surfaces face to face the glue makes them slip around and impossible to align correctly. 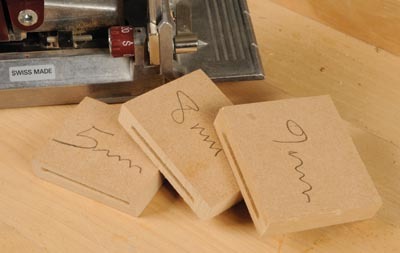 Instead use several biscuit slots near one edge, to make the job quick and precise. 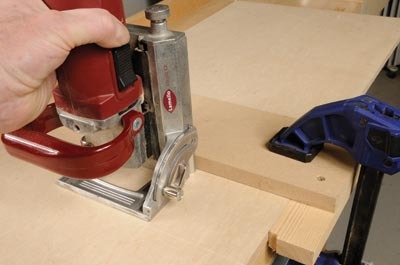 If you need to machine slots into vertically standing components such as drawer sides, make an L jig that will hold them safely and easily (see photo 5).